Both men and women took to Twitter on Tuesday night to respond to accusations against Nation of Islam leader Minister Louis Farrakhan and women who back him. The Twitter chat was designed and moderated by Ebony Muhammad, a member of the Nation of Islam and publisher of Hurt 2 Healing Magazine. 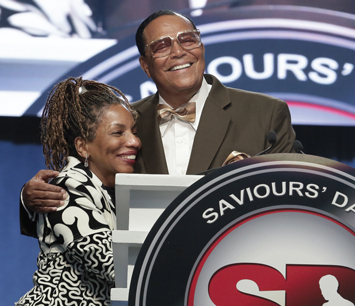 She has done similar chats in the past when Minister Farrakhan was faced with accusations. 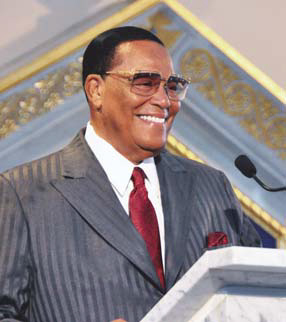 Muhammad felt it was necessary to organize a chat because the positive impact Minister Farrakhan had on her life and the lives of others needed defending. 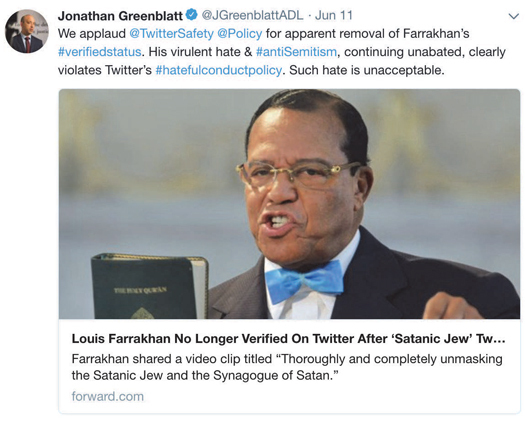 The Twitter chat came on the heels of a slew of accusations from media professionals and Jewish leaders following Minister Farrakhan’s Feb. 25 Saviours’ Day address. Most prominently, Jake Tapper, an anchor for CNN’s The lead, took to Twitter to point out what he considered to be anti-Semitic quotes by Minister Farrakhan. 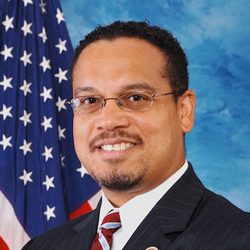 He also called out Tamika Mallory and Linda Sarsour, activists and organizers for the Women’s March, for standing with Minister Farrakhan. This is another good question when it comes to @WomensMarch leaders @TamikaDMallory/@lsarsour support for Farrakhan — in addition to his anti-Semitism he espouses misogynistic and anti-LGBTQ views. 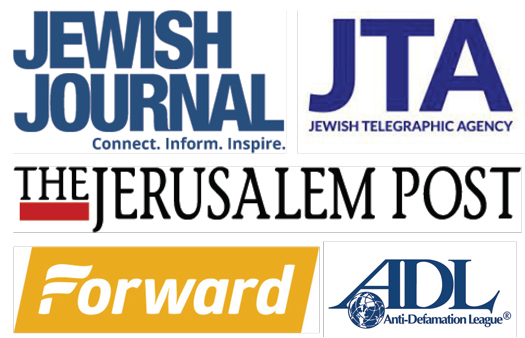 Publications including CNN, the Chicago Tribune, Haaretz and The Jerusalem Post published articles on Minister Farrakhan’s Saviours’ Day address. 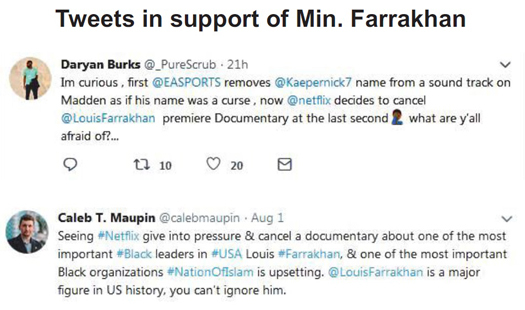 Similar to Jake Tapper’s tweets, the articles mention parts of Minister Farrakhan’s speech that refer to the Jewish people. 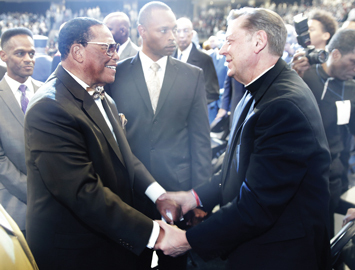 The article offers an argument about why Jews continue to attack Minister Farrakhan, the success Minister Farrakhan has had despite the attacks from his critics and remarks he made during his Saviours’ Day address that many publications are not paying attention to. On top of that, mostly women of the Nation of Islam further defended Minister Farrakhan through Twitter. The next question regarded the nature of Minister Farrakhan being called a hater and a racist. Participants of the Twitter chat showered love on Tamika Mallory, Erykah Badu and strong Black women in general who are unafraid to stand with Minister Farrakhan. Aqueelah Arbyummi from Washington, D.C. told the sisters she stands with them in truth. 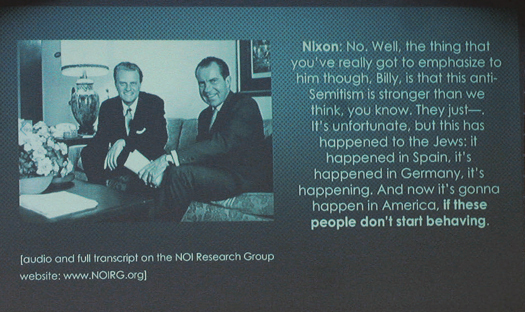 Other issues the Twitter chat tackled include homophobia, the LGBTQ community, and the controversy over Malcolm X. The final question of the night asked participants if they experienced misogyny by the Honorable Minister Louis Farrakhan. Georgina Muhammad from Pasco, Washington said she doesn’t feel oppressed. Fudia Muhammad from Austin, Texas also expressed her joy in being a #CoveredGirl. 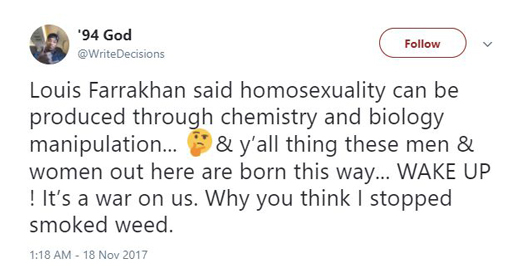 She tweeted about her family life as a woman in the Nation of Islam.